The Bible for every student of English is Grammar. It is the necessary set of directives and rules that conduct the language of every genre in English and also haunt the students of English throughout their lives. It is unforgiving and can be an extreme pain-in-the-neck for all the literary scholars. 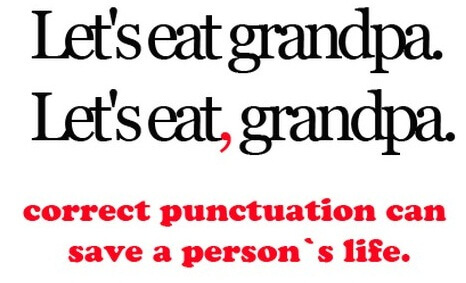 Every aspect of grammar be it punctuation, syntax, rhetoric, etc. stand their ground while forming a literary piece. A poem is the most difficult genre of English to apply the rules of grammar. 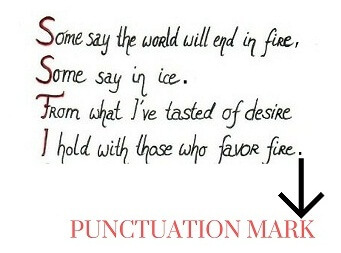 Therefore this blog holds the discussion regarding punctuation in poems and the correct way of applying them. It is not necessary to use every comma and dash in the poem since it might break the aesthetic flow of thoughts of the poet. It is not required to start every line with a capital letter. It was an old tradition which may or may not be followed by contemporary poets. Also, a punctuation mark can be used anywhere in the text to convey an emotion to the readers simply. End stop– A punctuation mark at the end of a line. Enjambment- No punctuation marks at the end of a line since the same idea continue in the next line and the reader goes on reading without a pause. Caesura– A punctuation mark which causes a pause in the middle of the line. 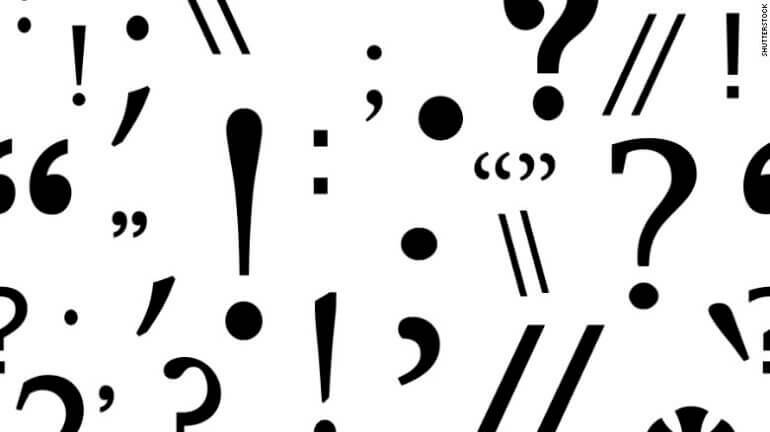 No punctuation– Modern poets can decide not to use punctuation at all. The poem mentioned above is by Robert Frost. It follows all the rules of a traditional poetry with proper punctuations, capitalization of first letters of each sentence and required pauses. The poem mentioned above is by E.E. Cummings. It is the ideal example of a modern poetry which follows very fewer rules of grammar and expresses the emotions freely. Modern poets do not like coloring within the lines, and that is expressed in the poem cited above. If you are faced with the option of directly quoting from a poem in your paper, then you need to preserve the author’s style and use of punctuation in the poem. Poets always look for several measures to expand their vista of creativity. They use several devices to achieve this end. Toying with grammar rules is one method employed by them. But this approach is not as easy as it sounds. You have to have a proper creative technique to forego the rules of grammar or else your poem may appear amateurish. Both the free-spirited ones and the worshippers of grammar rules have an enormous task at hand, and it is not easy to achieve either of them. Thus it is up to you whether you are interested in toeing the line or toying with the line. 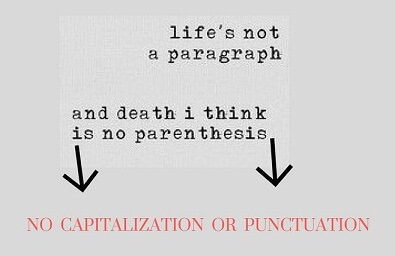 Now you know the importance of punctuations in our lives. To get more such interesting and useful information for your assignment click on to take my online class and get the best help from our professional tutors. Have you ever thought about including a little bit more than just your articles? I mean, what you say is important and everything. Nevertheless think about if you added some great graphics or video clips to give your posts more, “pop”! Your content is excellent but with pics and clips, this website could certainly be one of the best in its niche. Superb blog!